Responsive website design is an approach to web design which makes web pages on a variety of device and window on screen size. Because content design and performance are necessary across all device to ensure usability and satisfaction. 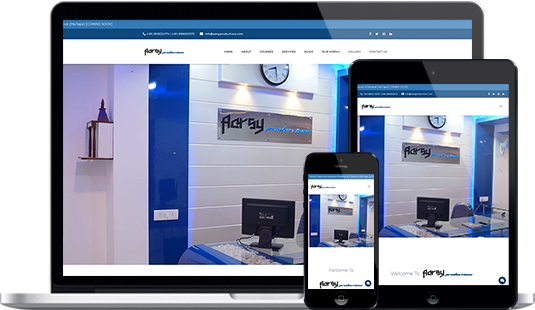 There is a wide variety of information on responsive web design all over the internet. A site designed with RWD adapts the layout to the viewing environment by using fluid, proportion based grids, flexible images and media queries. FLUID IMAGES: Fluid images means page element sizing to be in relative units likes percentage, rather than absolute units likes pixels or point. FLEXIBLE IMAGES: Flexible images are also size in relevant unit so as to prevent them from displaying out their containing element. MEDIA QUERIES: Media queries allow the page to use different CSS style rules based on characteristic of the device the site is being displayed on most commonly the width of the browser.